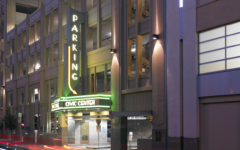 In order to meet the growing parking demand of the Park Street Business District, as well as the anticipated additional parking needs for the renovated historic Alameda Theatre, the City of Alameda Community Improvement Commission decided to build a parking garage using the design-build delivery method. 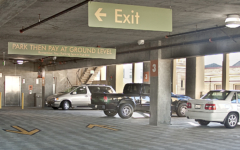 The project scope consisted of a six-level, 341-space parking structure on a 123’ x 150’ site, located mid-block on Oak Street between Central and Santa Clara. 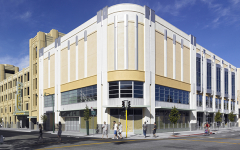 The building’s architecture echoes the Art Deco style, complementing the renovated and expanded theatre project. The sign marquee and colorful stucco exterior enhances the downtown shopping area. 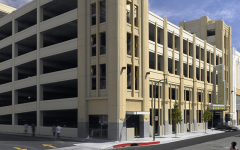 In keeping with the City of Alameda’s vision for forward-thinking design, the structure provides dedicated bicycle and motorcycle parking.